In its 12+ years of existence, LinkedIn has established itself as the premier online professional network. 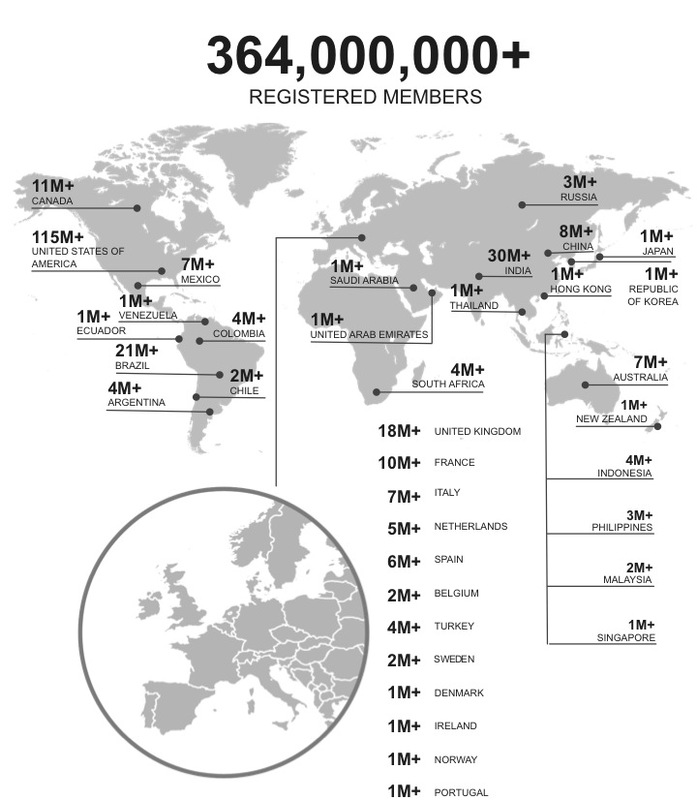 It touts “more than 364 million members in over 200 countries and territories” around the world (LinkedIn Newsroom). It has become a key tool for recruiters and job seekers alike, but with such a massive number of people in the world of LinkedIn, how can you and I get noticed? LinkedIn’s “improve your profile” suggestions will guide you through the basics building a profile. It will help you add a business-appropriate profile picture, education, job experience, certifications, skills, a summary and a few other things. Start with this. It is by far the most important step. Take your time. This is the core of how you are selling yourself to the world of LinkedIn. Once you have the basics of your profile filled out, you should add media that will complement what you’ve written. This might be documents from a senior projects, images of final product, a link to a website or something else entirely. These provide some tangibility to your words. Ask everyone you know to be a connections on LinkedIn. Start out by connecting with family, friends and close coworkers. Then look through their connections to find other people you know. At some point it will become hard to find people you know to connect with. This is when LinkedIn’s suggested connections is helpful. Each time you log in, look at these suggestions and connect with the people you know. Side Note: I don’t ask to connect with strangers, and as a general rule, I don’t accept invites from them unless they are recruiters in my field. Consistently share helpful articles. This is a wonderful way to keep your name in front of your connections. Most people don’t share much on LinkedIn. Being known for consistently sharing useful and insightful things, will separate you from the crowd. Side Note: I use Buffer for this. 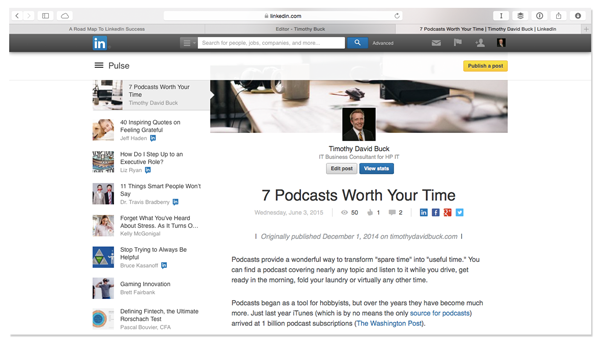 LinkedIn makes it super simple to write and publish posts. It’s basically a blog attached directly to your profile, but when you click publish it automatically alerts all of your connections about your post. Side Note: Two months ago I decided to repost one of my blog posts in the publish section of LinkedIn. The learning curve was miniscule, and it has turned into a helpful way to get my profile noticed and drive traffic to my blog.